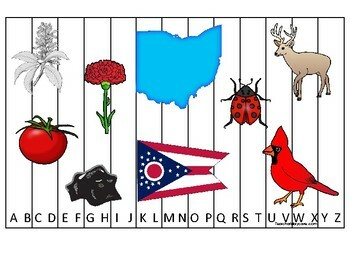 Ohio State Symbols themed Alphabet Sequence Puzzle Preschool Game. Ohio State Symbols themed Alphabet Sequence Puzzle Game. Please see our many other items in our store. We always have full curriculum sets, new games, sight word flash cards, and more!